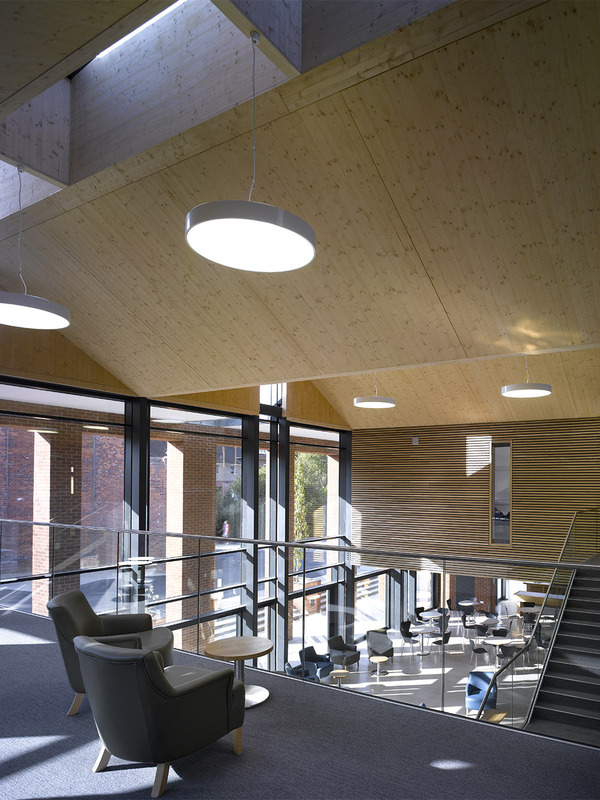 Radley College’s Clocktower Court has been shortlisted for the 2014 Wood Award. The 22 shortlisted buildings were selected from a total of nearly 300 entries. The The Wood Awards recognises outstanding design, craftsmanship and installation using wood in projects throughout the UK. An exhibition of the Wood Awards shortlist along with the shortlisted furniture pieces will be exhibited on stand L370 at 100% Design in September. The winners of the Wood Awards will be announced on the 18th November at a reception in London hosted by the Worshipful Company of Carpenters, and the Wood Awards 2014 supplement will be published in RIBA Journal’s December issue.